Today, the police arrested Mohamed Aabi Digaale, Hargeisa bureau chief of the London based Universal TV. 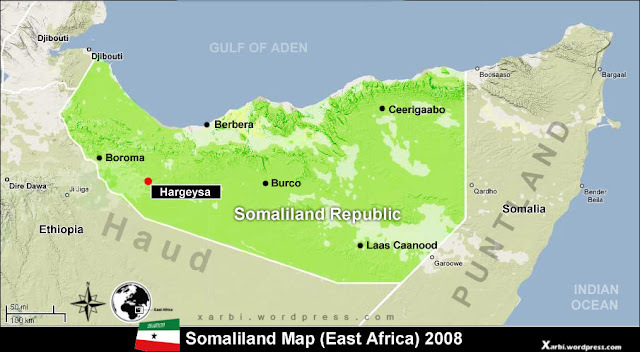 The government of Somaliland has not commented on the arrest of the journalist. Sources confirmed to Human Rights Centre that he was arrested for a news report broadcasted by the television in early this month. There was no court warrant permitting the arrest of the journalist, according to Mohamoud Abdi Jama, the chairperson of Somaliland Journalists Association (SOLJA). The constitution of the Republic of Somaliland and the Press Law guarantee the fundamental right to freedom of expression. Furthermore, there is a number of other people who are in detention for statements they made. Naema Ahmed Ibrahim, arrested on 27th January 2017, for alleged Facebook posts, Abdiasis Adan Jalow, arrested on 6th February, after he held a press conference purportedly criticizing the power sharing of the new government, and Mohamed Kayse Mohamoud, arrested on 7th February, for Facebook post allegedly related to the unity of Somalia, are all in police custody. Abdirisaq Ismail Hassan, a licensed lawyer, has been arrested today and brought before a military court which remanded him into custody. According to the Secretary-General of Somaliland Lawyers Association, Abdirisaq is arrested for a question he asked the head of the fire-fighters in a television program. According to a family member, Abdirisaq used to work for the fire-fighters, but later on, left and started practicing the law. According to article 104 of the Constitution, the military courts do not have a jurisdiction in hearing cases against civilians. Human Rights Centre requests the government of Somaliland to release all those arrested for expressing their opinion.